I love the length, depth and complexity of the story lines. Annika is beautiful, smart and tenacious, but not too slick. She has flaws and the producers show her as a real woman with real personal life complications. I agree, Jim, and I love how complicated and nuanced the crimes she investigates are, too. Could not agree more with Jim. Just watched the last episode of season 1. WOW….I’m left with wanting more Annka. How long will it take before we (americans) get to view season 2? Any suggestions on which swedish TV shows to watch next? I have to say that streaming it from Netflix on my new Roku was absolutely crazy making-watch 5-15min, not available for 10min, or it would freeze up requiring me to leave Netfilx and go back in, select film, repeat over & over. Netflix shouldn’t be acting like that. Can you get support from somewhere for your Roku? There were six Annika Bengtzon movies in the series that I know about. If there are more, I’d love to know. Have you seen the Swedish versions of The Girl with the Dragon Tattoo (and two more)? I enjoyed them. IMDB has a list of Swedish movies you might look over for ideas. I agree with Jim I love Netflix because I loved this series and want more, really like Malin Crepin in the role. I watched the 3 part Swedish series The Girl with the Dragon Tatoo. I love the English Poirot there are so many more I watch on Netflix with a Roku on my old 32 in. TV and my 32 in. flatscreen thru my tablet isn’t technology great. I really loved these episodes so far. I’m a sucker for European dramas like this one. One question I have, maybe the books would answer – how old is Annika supposed to be in the films? She’s 35ish in real life but in the files she seems like she’s mid-20’s. She acts like a child a lot of the time. Spiteful, selfish, ignorant, flashy, generally immature. I love the line by the Editor in Chief – “for someone who is so smart, you’re so dumb!! !” in Lifetime I think it was. I have to agree. I love the series but Annika just makes me wince at times with how stupid she behaves. I guess its part of the ‘charm’. Quese, I don’t know how old she is supposed to be. I’d guess at least late 20s because of the ages of her children, but her professional skills are such that she might be in her 30s. I started watching this after I ran through all the Wallander series (both BBC and Swedish versions) on Netflix. This show is a lot different, but still pretty well done and (so far) much less gore. I love how much she reminds me of Nancy Drew. Sorry about the spoilers, but I know you will enjoy the rest of the stories! What was the dying lady saying? I don’t understand the question, Michelle, but perhaps one of the readers can help out. In the episode, Nobel’s Last Will, the woman that is shot is mouthing something, as she lay dying. The dying scene is replayed in the movie, but are we ever told what this woman’s last word or words were? Loved it, loved it, loved it. When will there be more? Wish I had a good answer for that, Carol, but I haven’t heard anything about more. My husband and I love the series. Will there be more? 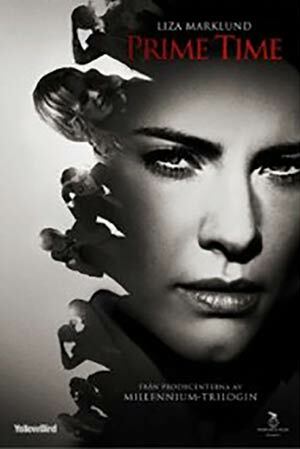 Two are two earlier films based on Annika Bengtzon novels, The Bomber and Paradise. Both were filmed in Swedish by the English director Colin Nutley. The actress Helena Bergström starred in the role as Annika Bengtzon in both movies. They premiered in 2001 and 2003. The 6 films starring Malin Crépin were completed in 2012. Just try and find this series to watch now. Like finding hen’s teeth! Amazon is selling the dvd’s for way too much money. Ugh. Can’t remember where I saw it. Probably Netflix. Maybe it’s time to request that Netflix obtain the series again. The series is available to stream if you have a subscription to MHZChoice in the US (worth the $8/month). You can access it on your computer, iPhone or Android, as well as the app if you have a Roku Player, which I highly recommend. There are tons of other Scandinavian Crime Dramas available as well.